Three books have recently been published with the help of the Henry Center. The first grew out of our Hong Kong 2008 conference, led by Drs. David Pao and Rick Cook in partnership with Evangel Seminary (Hong Kong, China) and China Evangelical Seminary (Taipei, Taiwan), has led to a book that has just been published: Richard Cook and David Pao, ed., After Imperialism: Christian Identity in China and the Global Evangelical Movement (Eugene, OR: Pickwick Publications, 2011). This collection of essays is committed to the belief that evangelicalism continues to have the historical assets and intellectual (hermeneutical and theological) tools able to contribute to the global church. They address questions of evangelical identity in China and around the world from the disciplines of history, biblical studies, and systematic theology/contextualization. 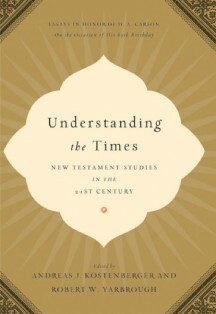 The second is Andreas Köstenberger and Robert Yarbrough, ed., Understanding the Times: New Testament Studies in the 21st Century (Essays in Honor of D. A. Carson) (Crossway, 2011). The Henry Center sponsored the publication of this book and one of its editors, Dr. Yarbrough, was on our board until his recent move back to Covenant Seminary. In appreciation of Don Carson’s life work, editors Köstenberger and Yarbrough have assembled together a team of contributors, including Stanley Porter, Grant Osborne, Mark Dever, John Woodbridge, Douglas Moo, Peter O’Brien, Eckhard Schnabel, Craig Blomberg, and David Pao, to produce this volume of essays on New Testament studies in modern times. The book is divided into three parts: New Testament Studies and Ancillary Disciplines, Special Topics in New Testament Studies, and New Testament Studies around the World. Pastors, professors, and students will benefit not only from the example of a man who understands the times, but also from the high quality of scholarship and wide variety of topics covered in this volume. Carson himself was involved in the third book: John Piper and D. A. Carson, The Pastor as Scholar and the Scholar as Pastor (Crossway, 2011). 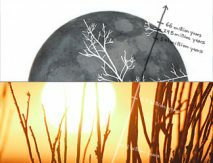 This publication emerged from two talks given by Drs. Piper and Carson at Park Community Church in Chicago, IL, sponsored by the Henry Center in 2009. The topic of their presentation was on the relationship of scholarship and pastoral ministry. Piper centered on the importance of scholarship and academic pursuits in his role as pastor. 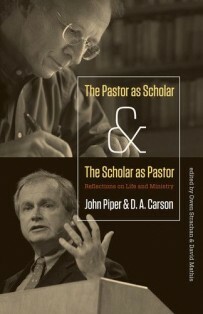 Carson, conversely, focused on the importance of pastoral ministry in his career as scholar. The event was enthusiastically received by everyone in attendance and, with this publication, will now reach an even wider audience.